I seem to have a lot of photographic fodder from my time in Port Hedland (July 1996 - October 1998) - I believe I may have been gifted a camera shortly before moving up there - and this outfit is a lot more indicative of the lifestyle. Taken 16 years ago to the day, on October 16, 1998, this was at a house party prior to my departure to Melbourne. 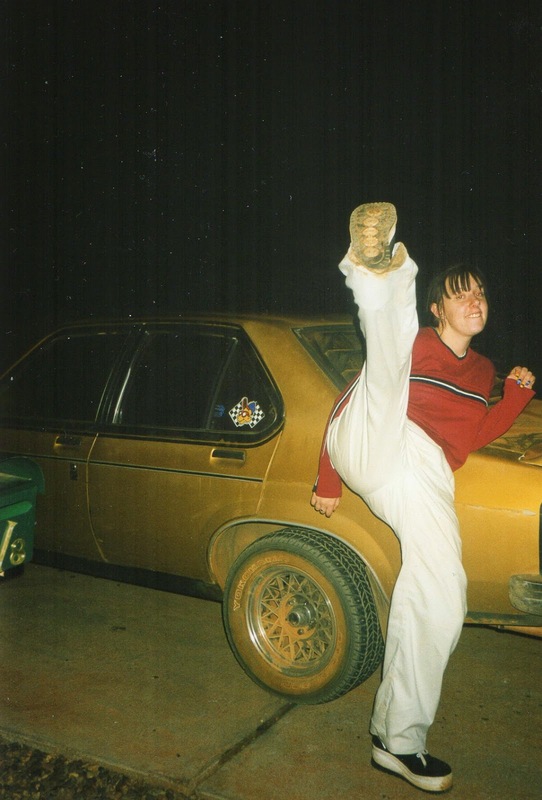 So what do we have here besides an awesome Sporty Spice high kick and a dirty Torana? Red striped knit top from Jeanswest which - as I recall - was about the only high street fashion chain store up there. Platform sneakers. I really seriously loved the Spice Girls. I wish I kept these. You can't see it but every fingernail is painted a different colour. Poorly. As a point of interest, here is me today on my 36th birthday. I was going to attempt to replicate the high kick but I didn't have time to warm up and I'd have probably done a hamstring. Excuse the solemn look. I only really get a couple of chances at a timer shot before toddler enters stage left with demands for the phone. 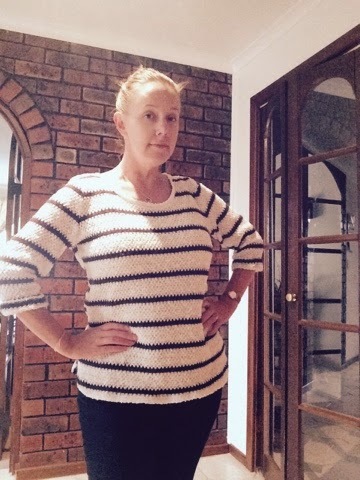 This has been one of my favourite go-to looks over the last season, a New Look navy and white striped knit from ASOS and my old faithful pre-pregnancy dark skinny jeans from Harris Scarfe of all places. And here is the toddler rocking head to toe Target.